There are four pages of Sterling Silver Jewellery within this department you can click the circular image to visit the page and click the logo to go back to the front page. 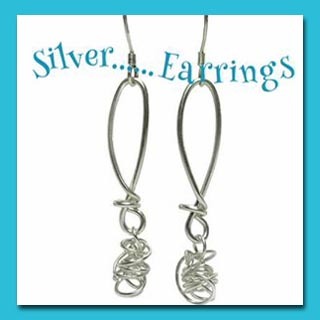 In this Directory you can find jewellery made just from silver. Sheet silver has been used in some of the designs but there are a number of styles available made using wire of different weights. 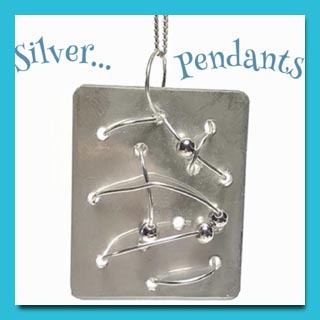 There are a mixture of pendants which come on sterling silver chains. Earrings made with hook wires but also available with alternative fittings like continental lever fittings or stud fittings. 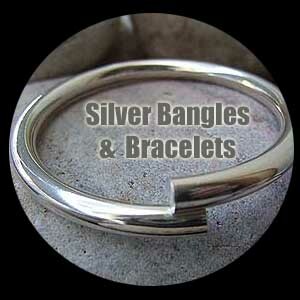 There are bangles which are very chunky down to very delicate. Bracelets are offered in standard sizes but cn also be made to your exact size for a perfect fit, please ask for details when ordering. 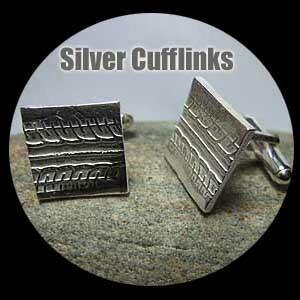 Also in this department there are a selection of cufflinks for men.